Founded by Ben Mitchell and John Gershenson, Baisikeli Ugunduzi stemmed from a mutual love for bicycles, a desire to make a difference in Africa and an interest in social business. After spending time in Kenya, we became hooked by the possibility to completely revolutionize how bikes are perceived and valued in SSA. Upon sharing the idea further, it is clear that working with Africans to develop bicycle products for Africans will have real, lasting impact. 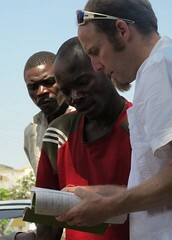 John loves bicycles, innovation, and human-centered design. A Professor of Mechanical Engineering, John is in charge of growing the business, enlisting capital, distribution agreements, and new product development. He has 15 years’ experience working with grants, has served as president of two small non-profits, developed successful fund raising programs, and served as a strategic planning consultant to several manufacturing organizations. John’s leadership and ability to convince are ideal during the growth phase. 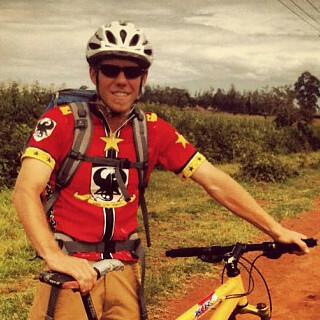 Ben loves Africa, bicycles, and engineering. A Ph.D. student in Mechanical Engineering, Ben is a returned Peace Corps volunteer from the Small Enterprise Development program in Burkina Faso and has over three years of experience working in Africa. After two years living in a remote village of Burkina Faso and a 2,500km bicycle trip through five West African countries, Ben understands the opportunity and value bicycles offer rural Africans. Ben thrives on motivating and relating to rural Africans; his social understanding has proven to attract customers and potential partners in Kenya.